Christmas day, 1914 was unlike any other Christmas before or after in Belgium. What happened there stunned as many as it has inspired. For a few days, men across the fields of battle laid down their weapons and shared an unprovoked peace. Twenty-five year old British Captain Edward Hulse of the Scots Guards told the story of four unarmed German soldiers who climbed out of their trenches and advanced through a casualty-ridden no man’s land toward the British lines. It was a risky move on a battle field that had already cost both sides dearly. Battles along the Western Front in Belgium had already cost 8,000 Allied lives and more than 20,000 for the Germans. The lines were drawn at short distances, often only about 100 yards apart. But somehow that day no one took a shot at the four Germans. 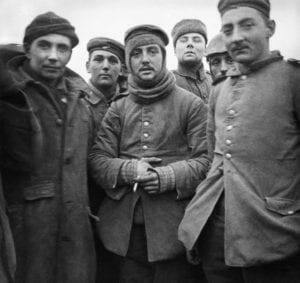 Hulse recounted that he and a few others from the British side emerged from their make-shift shelters and went out to meet the Germans where they exchanged simple wishes for a Happy Christmas. The soldiers on both sides were inspired. These were warriors all but they acted without orders to create an impromptu cease fire. In the midst of war, good will appeared, however briefly, among men. What followed defies explanation. Foes mingled. Enemies shook hands. Gifts were exchanged across the lines. Christmas Carols were sung simultaneously in German, French, Flemish and English. One informal cease fire after another spread across the western front as warriors collectively took a breath and celebrated a common belief. Christ came to bring peace on earth and good will toward men who had spent months in the trenches. Those who witnessed the event were in total shock. After countless weeks of harsh battle conditions and carnage, enemies were embracing. Impromptu soccer games were played. One man described saying: “It was like a waking dream.” For a moment at least, warfare ceased. As a warrior, you might wonder what God’s take on all of this would be. Modern warfare may seem more difficult because contemporary wars are fought over vastly different ideas of who God is and what God expects from us. Oddly, warriors faced similar difficulties in the battles that occurred in World War One. Opposing forces often use God as a primary weapon in creating a cause. What is the common bond between all men and women? What is it that makes us part of something larger than ourselves or our cause? We are made in the image of God. We are made for relationship with God. Jesus Christ came to earth to demonstrate once and for all God’s unimaginable love for His creation. Mankind has strayed. Wars have erupted. Lives have been lost because humanity lives in rebellion toward God. Christ’s appearance in a small, insignificant village in the Middle East proves the depth and breadth of God’s desire to restore His relationship with each of us. Perhaps the hardest task of a warrior is to maintain his/her connection to other people in the face of a daunting mission. The enemy is the enemy. The mission must be completed. If there is a cost in lives, that is the unfortunate price of battle. But when the bullets stop flying, it is often difficult to reestablish the connection between ourselves and others. The impact of the miracle at Ploegsteert Wood is best understood by recognizing the truth in what those warriors remembered for a few moments on Christmas day, 1914. Soldiers on opposing sides held the same convictions, that as humans we share a common bond. We are all made in the image of God. We are loved by that God. And most importantly they understood that the gap between God and His creation was bridged by the coming of Jesus Christ on that very first Christmas more than 2000 years ago. Jesus came that we might have life, abundant life. As a warrior, that is the single most important key to maintaining a true sense of our worth during the battle and long after the smoke has cleared. We can be heal from the scars no one else sees through the love and forgiveness of God. That love was made real to us through the life and sacrifice of Jesus Christ. Unfortunately, the story of Plogegsteert Wood is barely known in the United States. It occurred before our troops entered the fray in World War One. But it is well remembered in Europe. The truce is commemorated annually in Christmas soccer matches and was recently captured in a commercial on the 100th anniversary commemorating the event by British Supermarket company, Sainsbury’s. Here is a link to that commercial which vividly captured the miracle of that unofficial cease fire. It’s hard to believe that in a harsh world marred by barbed wire, constant shelling, death and blood that warriors could put aside their differences even for a moment. But it is precisely the fact that they did that should give today’s warriors hope that one day, we too can put aside our weapons and enjoy the peace we’ve have fought so hard to create and preserve. British soldier George Eade, recalled what a German who had lived in London told him: “Today we have peace. Tomorrow, you fight for your country. I fight for mine. Good luck.” It is doubtful that such an encounter could take place today, however there is one encounter that awaits anyone who seeks it. You can know God in a way that creates peace in the midst of battle! and true inner-freedom is possible. Whatever you’ve done that haunts you, whatever thoughts or deeds you think disqualify you from eternal life, Jesus makes the difference you can never make up yourself. In Him is true liberty and peace. Jesus made it clear that no matter who you are, no matter what you’ve done, you are not beyond the reach of His grace. It is no coincidence that the warriors who witnessed the miracle at Plogegsteert Wood found commonality in the traditions they remembered from Christmas in their homelands. It is Christ’s message of salvation and peace on earth that motivated the truce. It is that same message that allows warriors who draw on God’s compassion to find peace and goodwill again in their own lives. As a warrior, you pride yourself on your strength and resolve. You want to stand on your own two feet. But if you are faced with the oppressive weight of your own sin, if you’ve grown tired of trying to live for the next mission alone, it might be time to allow God to perform another Christmas miracle, not on the scorched battlefields of Belgium but in your own soul. It might be time to surrender control of your life to the one person who can truly love you as you are but not leave you where He finds you. Thank you for the reminder in this story that lives can change when people consider all that You’ve done for humanity. I know that I have done wrong things. I’ve clung to wrong ideas, I’ve acted in my own interests at the expense of others. I need forgiveness that can only come from You. Please forgive me for everything in my life that doesn’t please You. I give myself over to You. I surrender to Your command over my life. I want to live for you and I choose to accept Your forgiveness. I declare that You Lord and Savior of my life today. In Jesus’ Name, Amen. If you’ve prayed that prayer, please consider clicking on one of the boxes below this article. 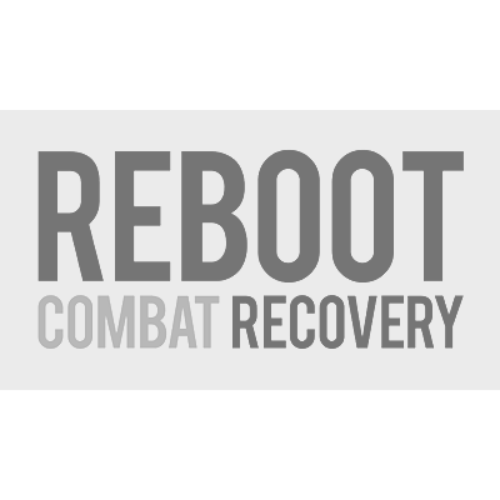 There are warriors ready to come along side you and help you take the next step toward living a better life. If you want to talk with a chaplain, they understand the warrior life and can point you in the right direction. Photograph Copyright: Imperial War Museum, Licensed and used by permission.